Gasselternijveen is a peat village situated amidst the beautiful nature preserves of Geopark the Hondsrug and Drentse Aa National Park. This charming detached holiday house is located on the outskirts of the village. It has two kitchens and bathrooms, so is a great accommodation for 2 families. Ofcourse you can also enjoy eating all together at one table. Moreover, there is a very comfortable Finnish sauna for four persons and a kids fun game loft with football game, shuffleboard and ancient Dutch games. Pets are welcome and can play in the fully fenced yard. 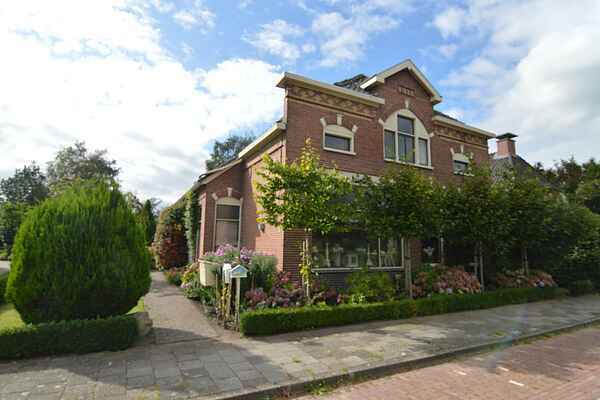 This characteristic farmhouse, which used to be a bakery, is a wonderful place to stay. There are many possible daytrips in the surrounding area. Nature lovers will love hiking or biking through one of the nearby nature preserves. You can visit the forest ranger stations at Gieten, Borgen and Anloo. And don't miss the treetop walk. Many hikes through the beautiful Drenthe forest start here. You can experience walking underground through the Worteltunnel or walk through the treetops like a squirrel. Cities worth visiting in the area include Emmen, Groningen and Assen. Spend a day shopping, have a drink at a cafe, and discover some of the most beautiful spots in the northern Netherlands. The Semslanden golf course is 4.6 km away. In summer it's also wonderful to go for a dip at the Nije Hemelriek bathing lake.